I also decided to end the Fat Quarter Swap group - I found I was not enjoying that anymore either. I found myself quite frustrated when I had to chase up whether a swap was completed or not, and I was getting very disappointed when most of the swappers stopped sharing photos of what had been sent and received - that was the bit I enjoyed most .... seeing all the lovely Fat Quarter goodies :) I was going to close it completely - the blog and the Facebook group, but I received an offer from Sara to keep it going :) Hopefully, Sara will breathe some new life into it. I have been a stitcher for the CHERISH circle for a few years, so I knew roughly how it worked. 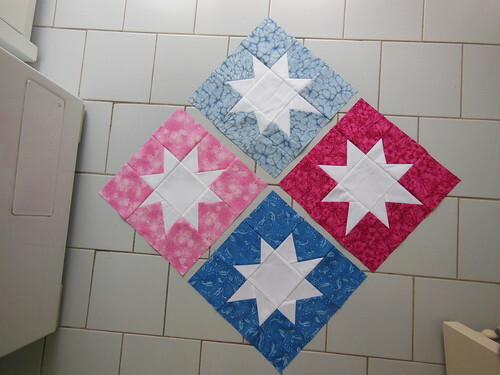 I am currently in the process of getting to know the new members of our circle, and have taken the first spot for the year with a scrappy wonky star block - a nice easy one for everyone to start with. I hadn't even got around to making up a sample block, when Margie shared a photo of what she had made (I have pinched Margie's photo here :) ) Very exciting seeing these! These blocks are already in my hot little hands ....... 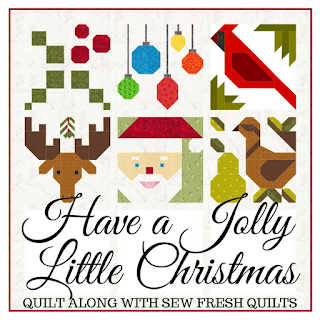 I can't wait to see what the resultant quilts will look like - I will be making two lap quilts as I only have a domestic machine and will be limited in how I can quilt it. 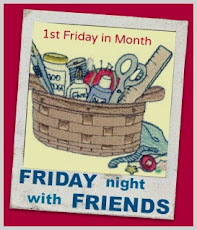 Pleased you are still joining in the bee and helping... Just enjoy the sewing Cathy. Cathy that is such a shame about the swaps - while I have never run one, I have noticed there's a number of participants who don't uphold the intention & spirit of them - I don't do many these days... also, I have enough of my own sewing I want to do !! Sounds exciting Cathy and love these blocks can't wait to see what else you come up with in 2016. It is time consuming organising the swaps….or makes time go very fast as soon as you finished one the next seems to be upon you.